The BG S40 SH Saxophone Strap Large is a saxophone strap for the shoulders with a large design, a glass fibre reinforced carabiner and can be used for alto, tenor and baritone saxophones. This ergonomic shoulder strap has a rugged glass fibre reinforced hook and carabiner abd distributes the weight of your instrument evenly on both shoulders, relieving the neck. 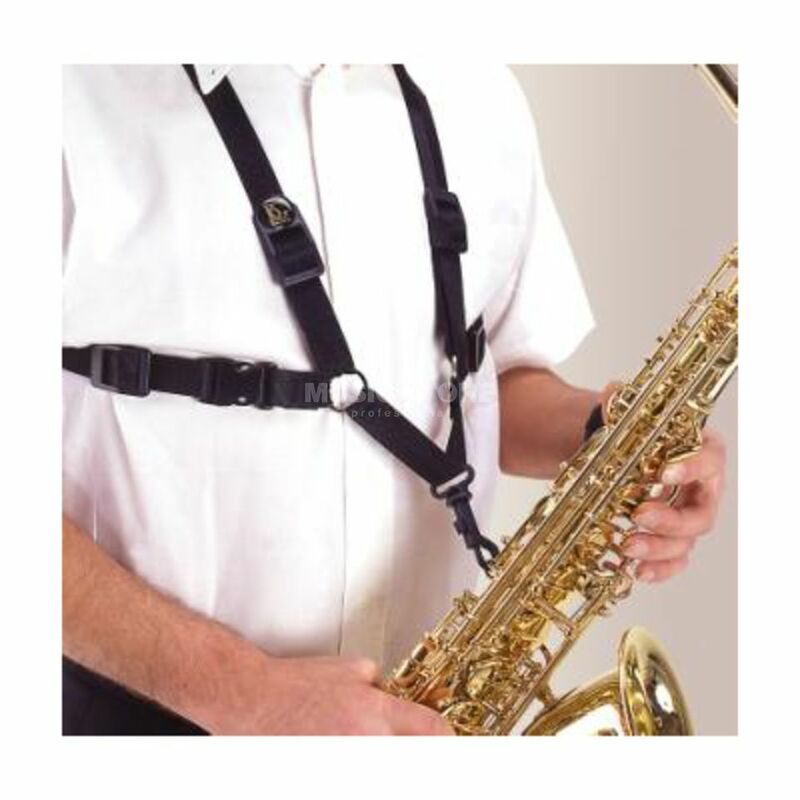 The belt is adjustable to your respective body size and the size of your alto, tenor or baritone saxophone.